Spicy Apricot Sausage Pastry, Red Velvet Pancakes, and Creme Brülée Vanilla Oatmeal. I get tired of making the same old pancakes or eggs for breakfast, so I was thrilled to receive this cookbook in the mail, since it is a fun one! The recipes are easy to follow and the pictures help one visualize the end result. ;) We have a breakfast potluck every couple of months at church, so it will be fun to make some of these new dishes. 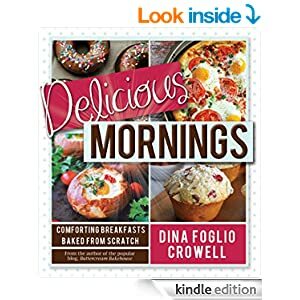 This cookbook is perfect if you are wanting to add some spice to your breakfast routine! Thea’s first quilt show is coming apart at the seams! Thea James has accepted an assignment as co‑chairperson for Larkindale’s first quilt show extravaganza. Juggling the new assignment with running her antique business, she’s already feeling frayed when things start to unravel. Mary‑Alice Wentworth, a much‑loved town matriarch, respected quilt judge, and Thea’s dear friend, is covertly conked on the head during the kick‑off Quilt Show Soiree, throwing suspicion on her guests. It also appears that a valuable diamond brooch has been stolen during the attack. The family is furious. But is it because of their mugged mother or the missing diamonds? When a renowned textile expert goes MIA and the famous Wentworth heritage quilt disappears, Larkindale’s reputation as a tourist haven is at risk. Thea attempts to piece the mystery together and save the town’s investment in the quilt show before Mary‑Alice is attacked again . . . with far worse results. My thoughts: This mystery is great! From the very start, it keeps the reader on their toes, since things start to happen that threaten the quilt show Thea is trying to put on. As she scrambles to keep up with all the mayhem, Thea also tries to get to the bottom of all the trouble going on. This is a fun addition to the Quilts of Love series! I hadn't read any of Cathy Elliott's books before this, but will have to look them up now! She does a wonderful job bringing quirky, fun characters to life and does a fabulous job of keeping the reader's attention. Two thumbs up! Buckley and Bogey, Cat Detectives, find their next big case with the Buckley and Bogey Cat Detective Agency to be their most complicated ever! It all starts when someone hides a mysterious package in their Mom’s antique store – in the middle of the night! Of course, the boys find it, and put it in a nice, safe place, until they can open it . . . and, find the rightful owner. But that’s when a whole bunch of suspicious people show up in St. Gertrude, and every single one of them seems to be after that package! Holy Catnip! Plus, everything happens just when a priceless, jeweled statue collection goes on display at the St. Gertrude Museum. Missing from that collection are two jewel covered cat statues that disappeared almost a hundred and fifty years ago. But soon Buckley and Bogey wonder how long those statues will stay missing. Because this is one case that really keeps them on their paws! From a trip to the Museum, and to an old church for the Blessing of the Animals; and from dinosaurs to diamonds, they end up dodging shady suspects the whole time. It sure helps to have their friends with them, especially when the bad guys make a beeline for boys. That’s because it becomes very clear, very quick — the priceless cat statues aren’t the only cats those crooks are after! Holy Mackerel! My thoughts: This is a cute mystery that is fun for all ages! I think that young readers would get a kick out of the antics of Buckley and Bogey as they help the police solve the mystery of the unknown package. Who would break in to leave something? Is it tied to the jeweled statue collection? This book is fun and imaginative! The cat detective duo go on quite the adventure to solve the mystery. I did get a bit tired of a few of the catch phrases used in the book, since they were used a lot. Otherwise though, I thought the writing style was great and the characters are fun. I look forward to reading more of their mysteries! This handsome firefighter makes a living coming to the rescue, but Gin doesn’t need a man to fight her battles. After Raine’s dad walked out, Ginevieve Lightly never lived in one place too long, a rambling lifestyle that defined her daughter’s youth. When their car dies in Banister Falls, Wisconsin, Gin promises Raine they can stay until she finishes her senior year of high school. Gin will do anything to make sure her daughter has a bright future . . . a future that’s compromised when Raine reveals she’s pregnant. Knowing gossip of Raine’s pregnancy will erupt sooner or later in the small town, Gin’s reflex is to grab the suitcase and escape to a new city, a new life. But with each passing day, Gin’s feet stay rooted in Banister Falls, and she falls a little more for this local firefighter who shows her not all men abandon women at the first sign of smoke. My take: Oh my word, this book is awesome! It is a beautiful story of two couples who have seen their share of heartache and sadness. I fell in love with both couples, as they struggle through making the best of some hard situations. The story challenged me to really look at how I would react to the situation if I were in Gin's place. I love that, while she had hoped for her daughter to go to college and not follow in her footsteps, she still looks on the baby as a blessing and a joy. I also love Cody's reaction to others judging them for getting into the situation. This is an incredible story that you won't want to miss! I received this book from the publishers in exchange for my honest review. This story is beautiful! I would love to read it with a book club and discuss the history behind the story. I just finished this one. Wow! It is the perfect read, with Valentine's day coming up! This is another gorgeous WWII era story. I loved this book, and I appreciate that the author always deals with a social issue. I'm actually just now reading this, so I can't totally say for sure. I have loved her other books, and this one promises to be fabulous too! This one brings up some interesting history, with the Salem witch trials. It would also spark some interesting discussion. I have heard so much about this one! My thoughts: Wow. I don't have a special needs child, but I have seen how tough it can be on a family to take care of one. I know it can wear one down to be a caregiver of any kind. This book is an excellent breath of fresh air for parents needing help and encouragement. I know it is hard to get time to read as a parent, but this one is a must! It focuses on how to forgive and draw closer to God, helping one get their joy back. Wallin has been there and offers encouragement to parents who struggle to work together and see the beauty in being a caregiver. I received this book from Lit Fuse in exchange for my honest review. If you have a special needs child, leave me a comment! Master the scriptures and have fun doing it! Find hidden messages, work through puzzles, and unscramble clues as you learn the essential truths found in scripture mastery passages. 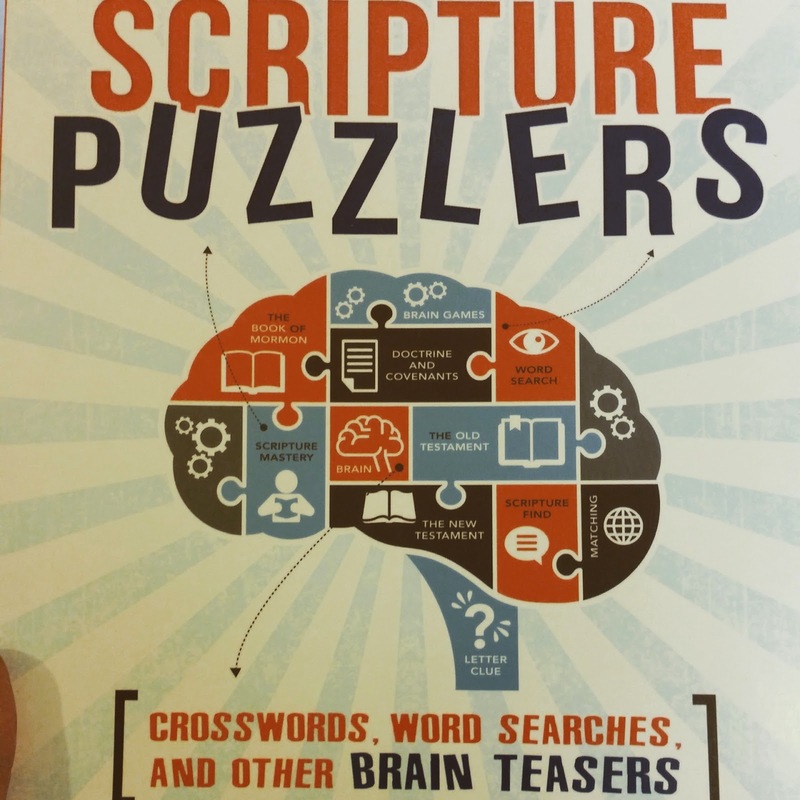 Perfect for Sunday School, family night, personal scripture study, or missionary preparation, this book of puzzles is anything but trivial! My thoughts: This is an excellent resource! My family has been going through 100 Bible Verses Everyone Should Know by Heart over the last year. It's a great book! Scripture Puzzlers kind of works out well with it, since it gives one a bunch of great ways to memorize Scripture verses! It's fun for kids and adults alike. We have enjoyed the puzzles and passed the book on to one of the Sunday School classes at church, since it makes learning Scripture verses fun for kids. It's great for Sunday School, family time, road trips, and when you need busy work to keep kids busy. Abigail Pressman has a lot to live up to, what with being the descendant of the founding couple of Loves Park, a town and couple known for love and all things romantic. And Abigail is still single. And quickly approaching 30. When the Valentine Volunteers set their eyes on recruiting her and finding her a perfect match, things turn from bad to worse. Especially when their matchmaking attempts come at the same time as trying to save her bookshop from a new landlord's plans to terminate her lease and put an end to her shop. 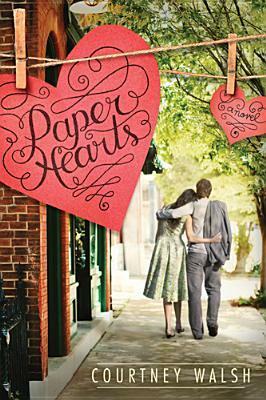 When she comes across a string of hearts written by an anonymous couple over the course of many years, Abigail can't help but be drawn in. She questions her own jaded view on love. As the mystery of the hearts begins to unfold though, it begins to look like a tragedy befell the couple. Will the truth affect Abigail's view on love? My thoughts: What an adorable book! The perfect read for Valentine's day, with it's fun town that revolves around all things romantic. I love the characters and how they come to life with their hopes, hurts, and dreams. The characters are just the right amount of quirky and fun. The author does a marvelous job at developing her secondary characters as well. I love the reminder to look for the beautiful in all one's relationships. This is my new favorite contemporary romance novel! So, I came across a couple of good recipes for making one's own sourdough English muffins. I love a good English muffin (or bagel) for breakfast, but a lot of the store bought ones have so much junk in them, to give them a longer shelf life. So, I was thrilled to find how easy it is to make my own! I actually have a Levain starter, which has been going for a while now. If you don't wish to start one, then you could buy a sourdough starter. After mixing your sponge, allow it to sit overnight. When you get up the next morning, it will have expanded. Fold the ingredients into the sponge, then turn onto a floured surface and need until everything is mixed in nicely. Once it is mixed together, roll until 1/2 inch and cut with a biscuit cutter or the opening of a cup. I will add that these are better if they are thinner, since they are easier to cook. I had to leave the thicker ones on there for longer, which resulted in the outside being more crunchy. Once they are cut out, place on a pan and allow to rise for about ten minutes. While they are rising, heat your skillet/griddle to 350 F (this is where the electric ones are nice!). Be sure to butter the pan before starting the heat! Once your muffins have risen a bit, place them on your skillet/griddle and cook for about 8 minutes, turning them every minute or two, so they cook evenly. I think these are best hot out of the pan! I just put some butter on them, but my daughter and husband loved them with apple butter. The batch made about 15 (2 1/2 inch). Orphan Kate Evans lands the perfect job out of college, working as a nanny for a rich little girl at a remote ranch in Utah. But, her determination to make a life for herself is challenged when her employer comes back to the ranch and proves to be a difficult man to work with. Can they learn to work together? Will Kate be able to work through her past and grab hold of the future she has always dreamed of? My thoughts: This book is a wonderful, modern day version of Jane Eyre! I enjoyed getting to know Kate and the rest of the character as their story unfolds. I like that the story line was a lot like the classic, yet the author made the story her own by adding her own touch. She did a fabulous job of developing the characters and giving them depth. I also thought it was neat how Kate's faith is woven into the story. The story has some great discussions on living one's faith. I look forward to reading the next book by this new voice in fiction! About the book: Seventeen-year-old Evangeline is about to discover what is different about her. She has had suspicions all along, but it is not until an aunt she never knew about turns up that her life tumbles into an adventure. Now, she is in the northern wood… a place where nothing is as it seems, where the ancient house of Dragonspire shifts its rooms around, and an unknown evil lurks nearby. All she wants are answers to her questions. If she is not a witch, what is she? What is the creature that continues to follow her to and from school? Why has her mother never told her about her aunt until now? Has the great inventor, Nikola Tesla, anything to do with it? And most of all, what is really in the northern woods? My thoughts: I've had this book on my wishlist for some time now. So, when the opportunity came up to review it, I jumped on the chance to finally get a copy of Thornewicke. It was every bit as interesting and fun as I thought it would be! I love the depth of the story, as well as how the characters are brought to life. I especially love the depth of the conversations, especially those about faith and God. A lot of stories seem to through a little conversation about religion in, almost as an after thought. I appreciate that the author of this book dives into some difficult questions about God. The only thing I didn't care for, and it is just a small thing, is that I didn't like the sensual side of the dreams. It is a small thing though, and doesn't affect how I feel about the story as a whole. If you have been eying this book for a while, then I strongly suggest that you buy it, since it is an incredible, unique story. If you are not a fan of Speculative fiction, then I would recommend checking into the author's historical fiction. 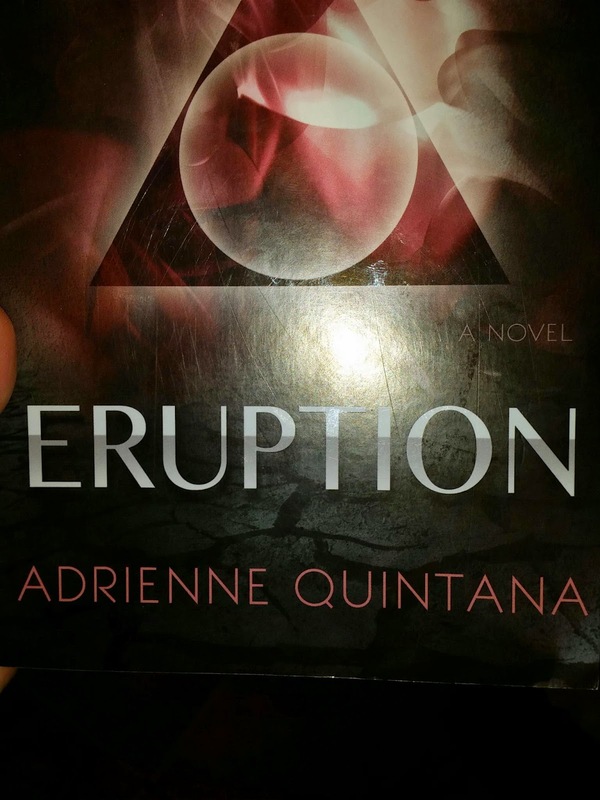 I received a copy of this story from the author in exchange for my honest review. Jace Vegas is enjoying her new job with a successful, on the rise, technology firm called Omnibus when she stumbles across a tablet that contains information about her future. A future that looks both bleak for the world and promising for herself. Struggling with what to do with the information and what to do with the tablet, she turns to a college classmate who happens to work at the same place. As Jace races the clock to make sense of Omnibus and their plans for the world, she must also come to grips with her past, as well as the future. Is time something that should be messed with? How do you save the world without it personally affecting your own happy future? My thoughts: This book is delightful! It kept me on the edge of my seat and up late reading to find out what was going to happen to Jace and those she loves. The sad part? There is a sequel, so I have to wait to have the story totally resolved! The nice thing is, there is some closure at the end of the story. Just enough to make one happy, and yet leave you anxious for the next book to come out. I did find it interesting that this story didn't really talk about religion, even though Jace is a moral character. All in all, this book is a wonderful, suspenseful read and I can't wait to read the next one! I give it a 4.5 out of 5. 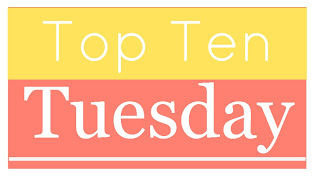 This week is a freebie, so I think I shall do my top ten favorite book quotes, since I adore a good book quote. So, here goes! 3. “It isn't Narnia, you know," sobbed Lucy. "It's you. We shan't meet you there. And how can we live, never meeting you?" 8. "Christ died for men precisely because men are not worth dying for. To make them worth it." 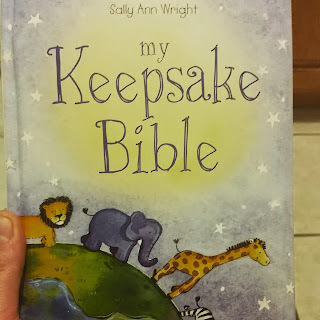 My Keepsake Bible is a beautiful blend of favorite Bible stories, prayers, and record book. With places to record your child's birth, progress, and family tree, this book is a fun visual to show your child that he or she has been part of God's story from the beginning. I love the beautiful drawings in this book! It does a great job of going through the Scriptures and telling beloved stories on a kids level. This book is perfect for a new baby, but would also be a great gift for a young child too. Break the recipe code for make tasty dishes. Free of grains, gluten, dairy, cane sugar, and soy, The Recipe Hacker is a mouthwatering collection of your favorite comfort foods with a healthy twist. Learn to use easy ingredient substitutions to transform traditional dishes into real, healthy comfort food masterpieces, without sacrificing any of the flavor! Enjoy healthier, whole-food versions of Key Lime Pie, Crispy Orange Chicken, and Banana Pancakes. Dozens of recipes and delicious flavors will keep you coming back for more. Enjoy all the comfort foods you crave. My thoughts: This cookbook is filled with approachable, delicious recipes to help one make all the family favorites while working around common allergies. I love that the recipes are approachable, with accompanying photos and easy to follow directions. There is something in the cookbook for everyone in your family! 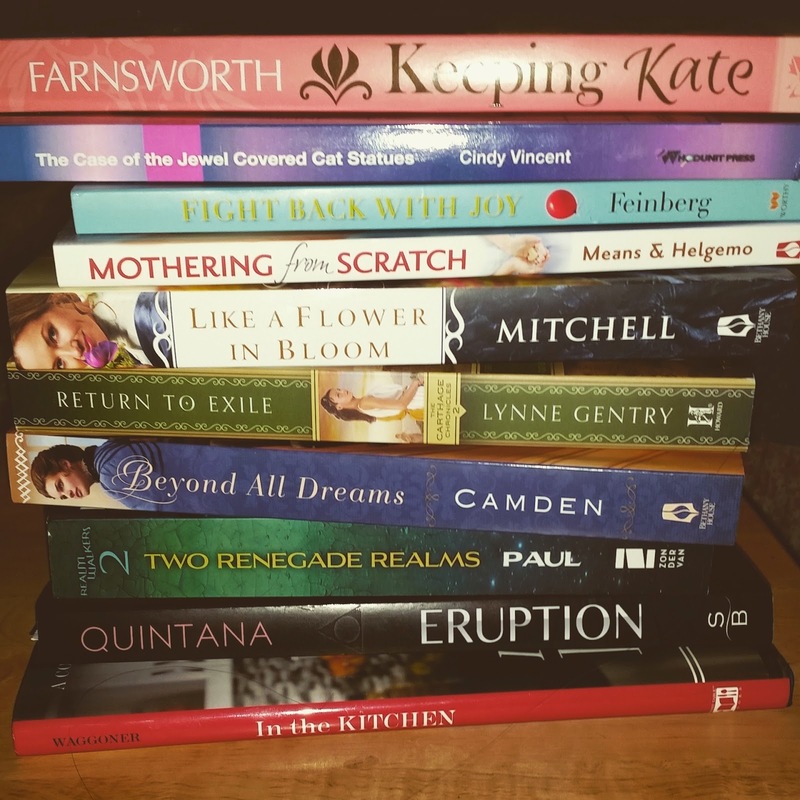 My thoughts: There is just something I like about Elizabeth Camden's stories! She breaths life into history and her characters that causes me to pick up almost every book she has written (there is just one that I still need to read. I should do that, so I can say I have read all of her books. But, I digress) and enjoy each and every one of them! I found this story a bit harder to get into at first, though that could be due to being down with a cold when I started it. Whatever the reason, it didn't last long, as I soon fell in love with the characters and had to find out what happened to Anna's father and the ship he went missing while on. This a sweet love story with a bit of mystery and some fun history. A must read! For years Charlotte Withersby has worked as an assistant to her father, an eminent English botanist. As she approaches the old age of twenty-four, her father pushes her out into society, swayed by an uncle who believes God's only two roles for women are marriage and motherhood. When one of the Withersbys' colonial correspondents, Edward Trimble, returns to England, he's drafted as the new assistant so Charlotte is free to marry. This suits Edward's plans quite well, since the last thing he wants to do is reunite with the family he is ashamed to call his own. Though Edward proves himself vexingly capable on the job, Charlotte won't surrender the job without a fight, and schemes with her best friend to regain her position. Perhaps if a proposal seems imminent, Charlotte's father will see his error and ask her to return. Charlotte tries to make headway in her town's social life, but reveals herself to be unaware of all the intricacies of polite society. Though Edward pitches in, tutoring her in society's expectations, she just seems to make things worse. And the more she comes to know of her father's assistant, the more trouble she has imagining life without him. 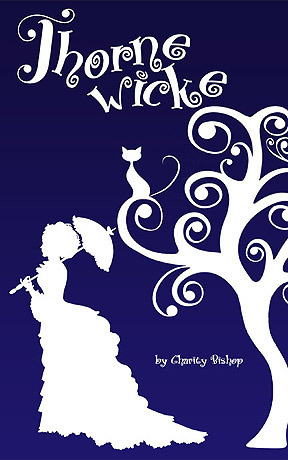 Caught in a trap of her own making and seeing the hopelessness of her prospects, will Charlotte get to keep her work or will she have to cede her heart? My thoughts: I very much enjoyed this novel! It was full of humor, likeable characters, and some fun history about botanists in the Victorian era. It is such a sweet story of one young woman trying to figure out how to fit into the role of a woman back in that time, when her heart is in the work that she has been doing. I love the social issues that Siri Mitchell brings up in her books! This one also has some fun introvert/extrovert stuff going on. :) All in all, it is a very enjoyable read! What I personally liked about this diet is that it incorporates things like fermented foods, which are amazing for you! I was a bit surprised that part of the diet is really just a variety of what is already popular: going wheat free or low carb. But, I do think she has some very good points about watching one's sweet intake, since there is really nothing nutritional about sugar (as good as a piece of chocolate is!). I think this is an interesting diet plan that has a lot of good ideas and great recipes. I received this book from bloggingforbooks in exchange for my honest review. Since I couldn't think of ten debut novels that I am looking forward to this year, I thought I would list ten books that I have received lately that I am looking forward to.